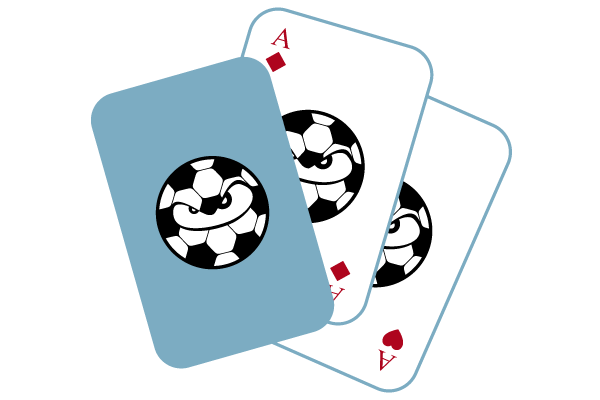 Team Twenty-One is a variation on the classic card game called Blackjack, also known as Twenty-One. Using the different suits, the various values for each card, and a twist on how the original game is played, we’ve created a fun fitness drill for all ages! Split players into two teams. Grab a deck of playing cards. Don’t have one? No problem, we’ve created a FREE Team Twenty-One web application to make it even easier! Here’s the fun twist! The object of the game is to make the other team do the most exercises! What your team gets for cards is what the other team will have to do for exercises! If both team totals are equal, it’s a tie and neither team has to do any exercises. If your team has the higher total (without going over 21), the other team has to do double the number of exercises given to them. If your team gets greedy and ends up having a hand totaling over 21, then your team has to do the exercises in addition to what the other team may give you! Team 1 begins with two cards being dealt. Team 1 can decide to keep the hand by choosing to Stay or Hit for another card. Team 1 can continue hitting an extra card until they are satisfied with the total. If Team 1 chooses to Stay with what they have or the total ends up going over 21, it is now Team 2’s turn. Team 2 begins with two cards being dealt. Team 2 can decide to keep the hand by choosing to Stay or Hit for another card. Team 2 can continue hitting an extra card until they are satisfied with the total. If Team 2 chooses to Stay with what they have or the total ends up going over 21, the game is over. Both teams proceed with doing the required exercises. Play as many rounds as you want! Feel free to get creative and make adjustments to the game. Have fun!